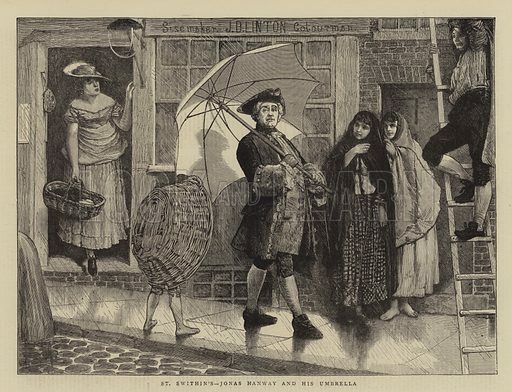 St Swithin's, Jonas Hanway and His Umbrella. Illustration for The Graphic, 1871. Available worldwide for immediate download up to 7,663 x 5,863 pixels.